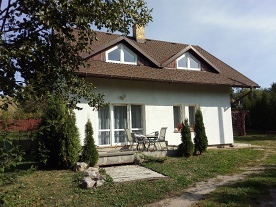 Rent cottage Fialka - Kamenice. 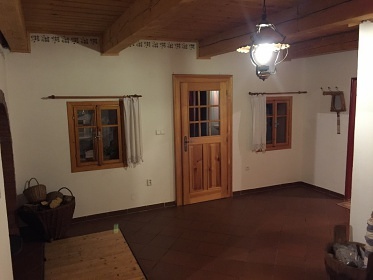 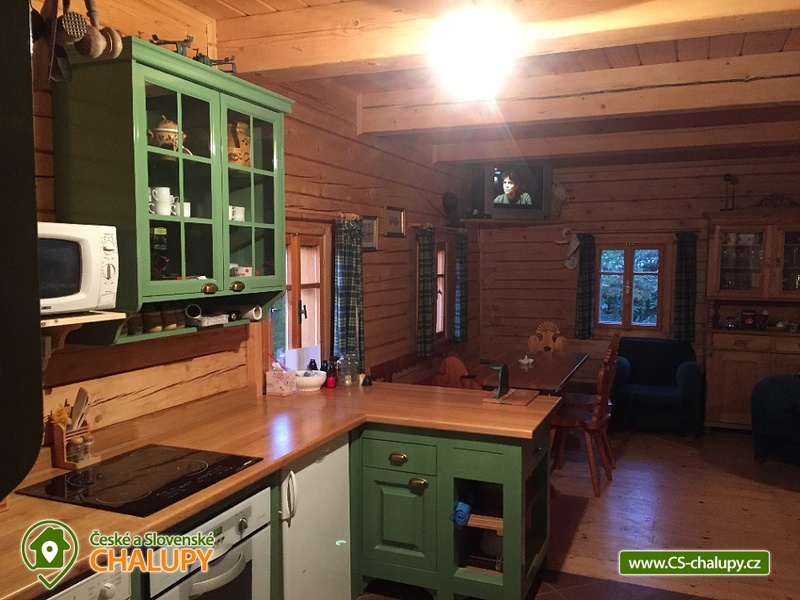 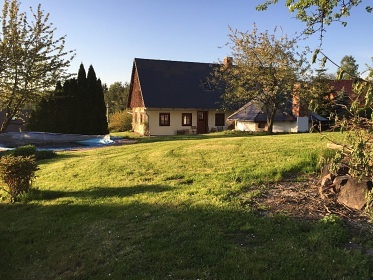 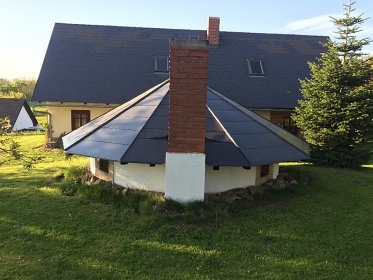 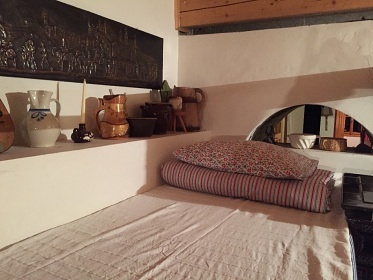 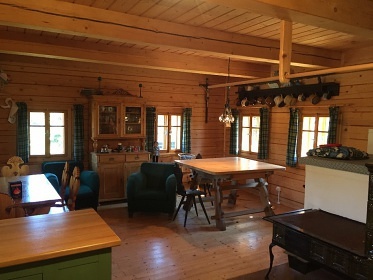 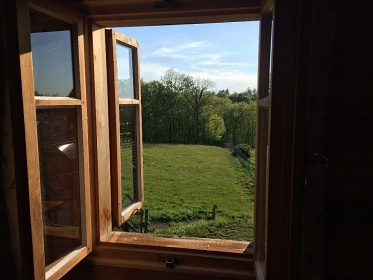 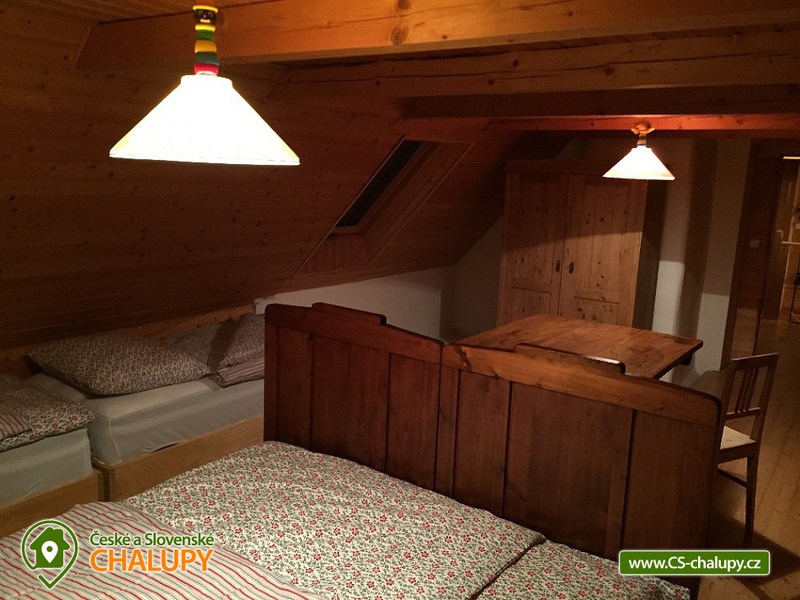 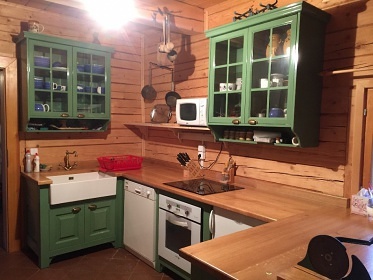 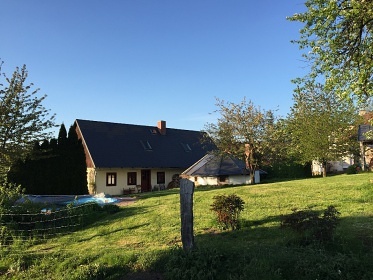 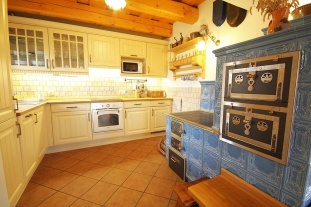 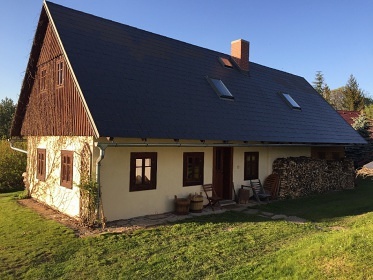 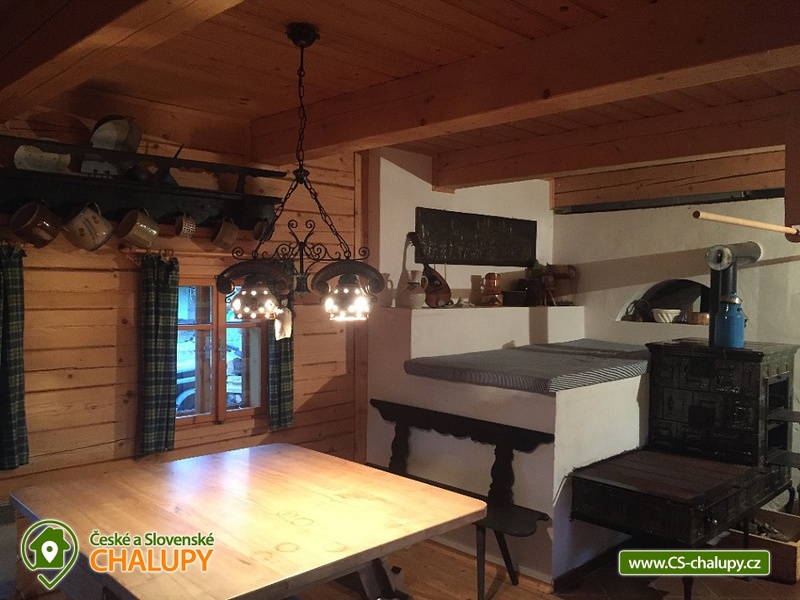 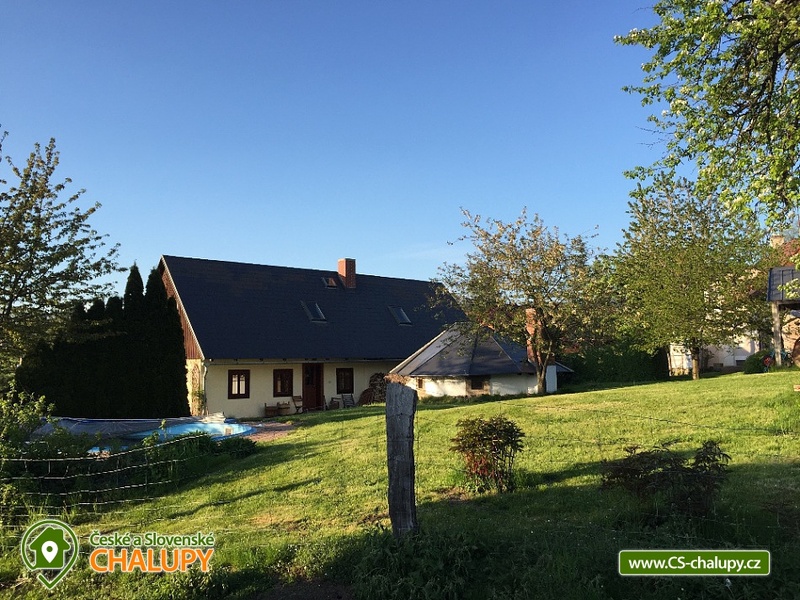 Cottage for rent Orlické hory. 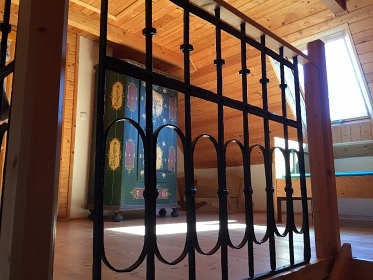 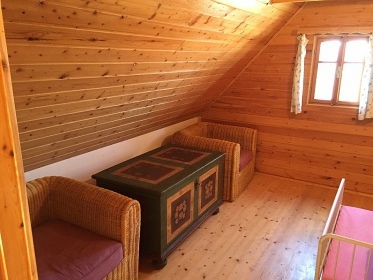 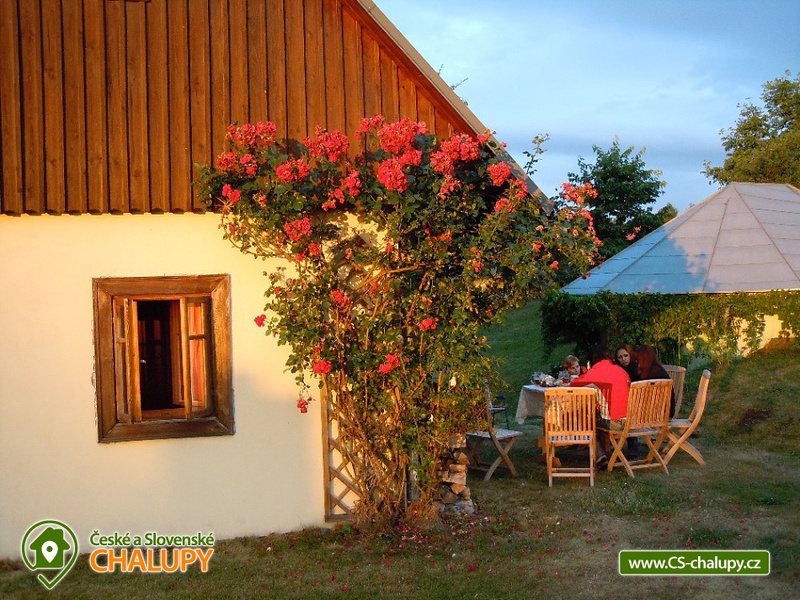 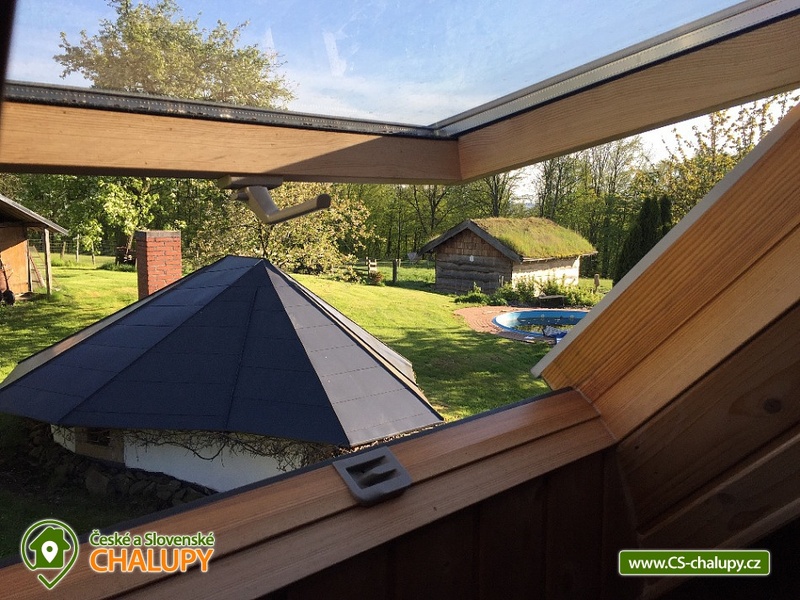 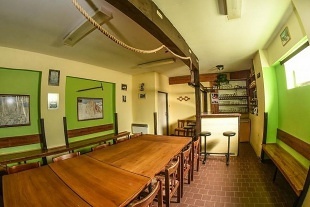 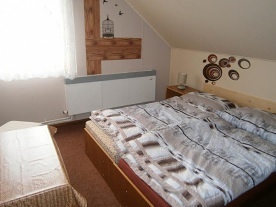 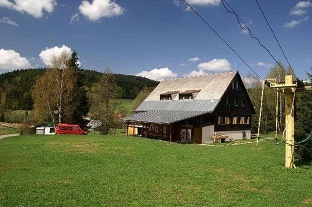 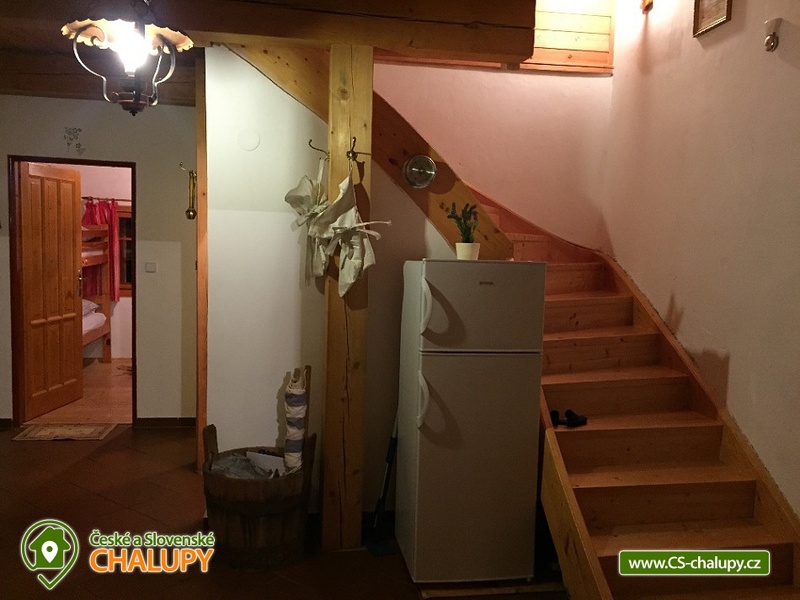 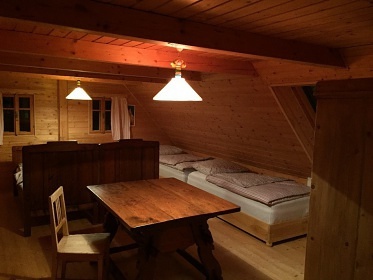 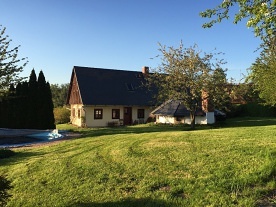 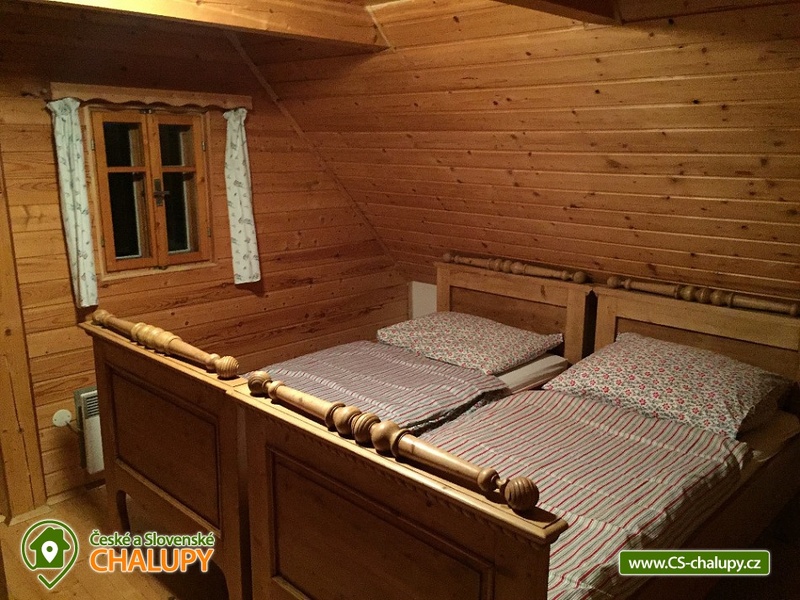 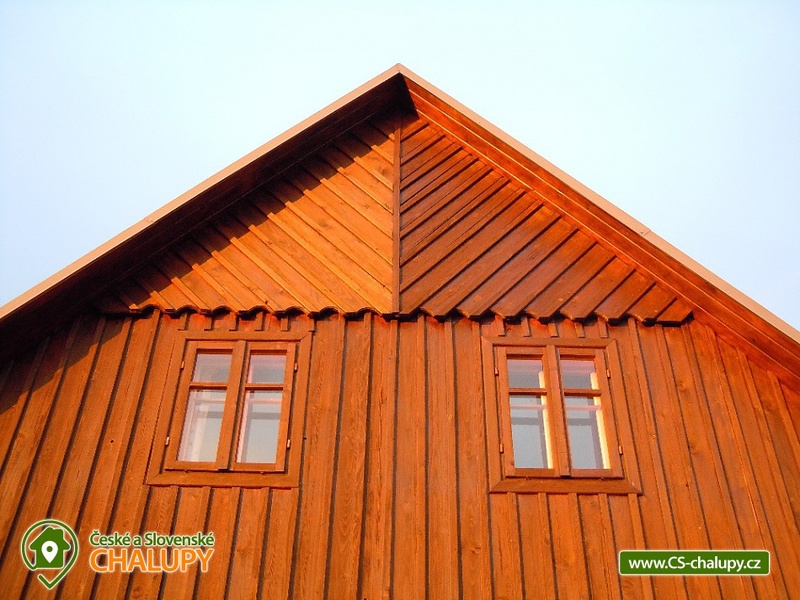 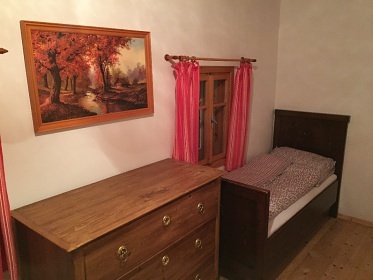 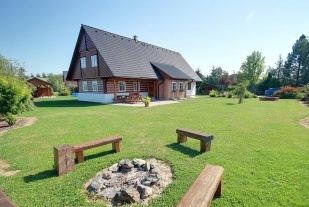 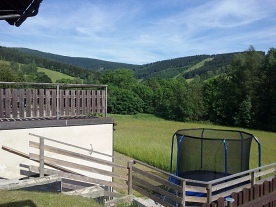 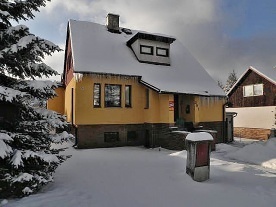 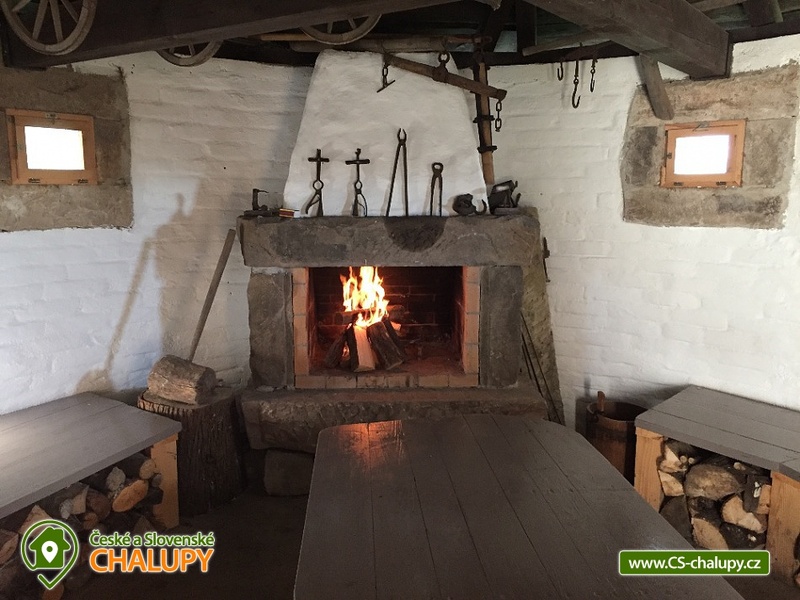 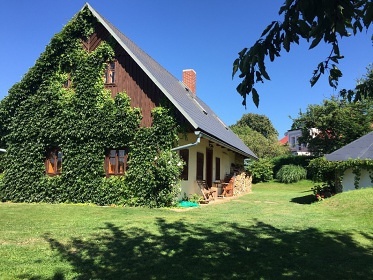 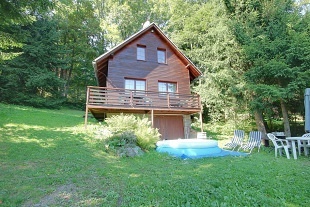 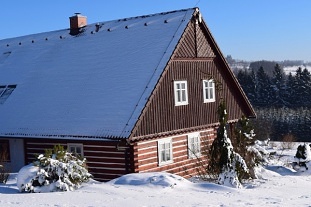 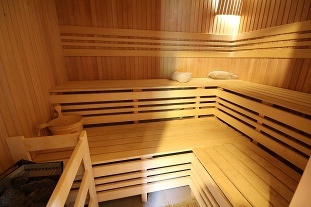 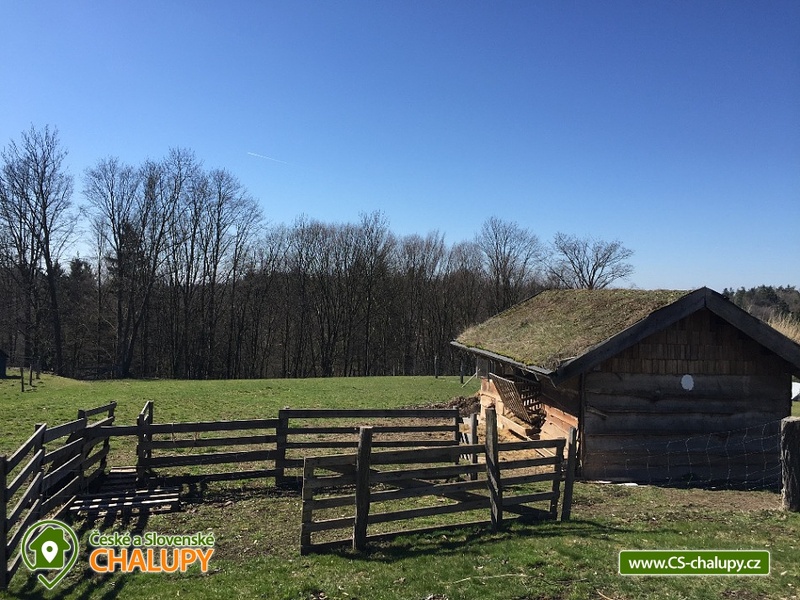 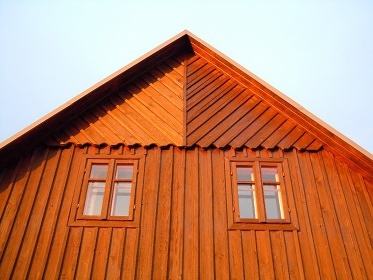 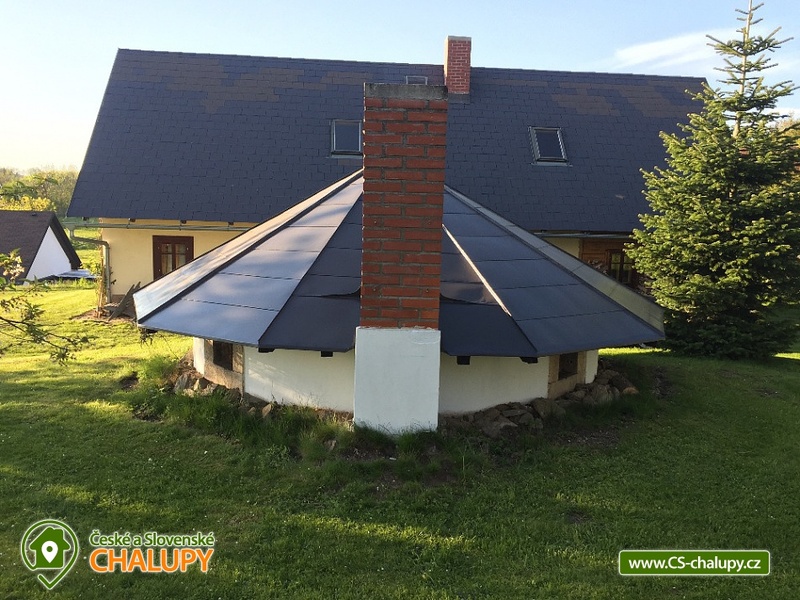 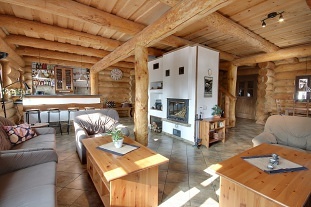 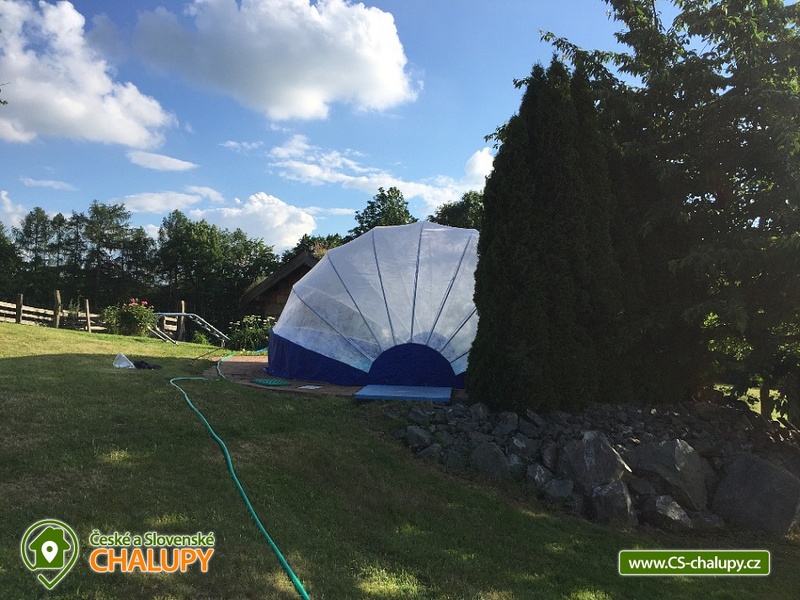 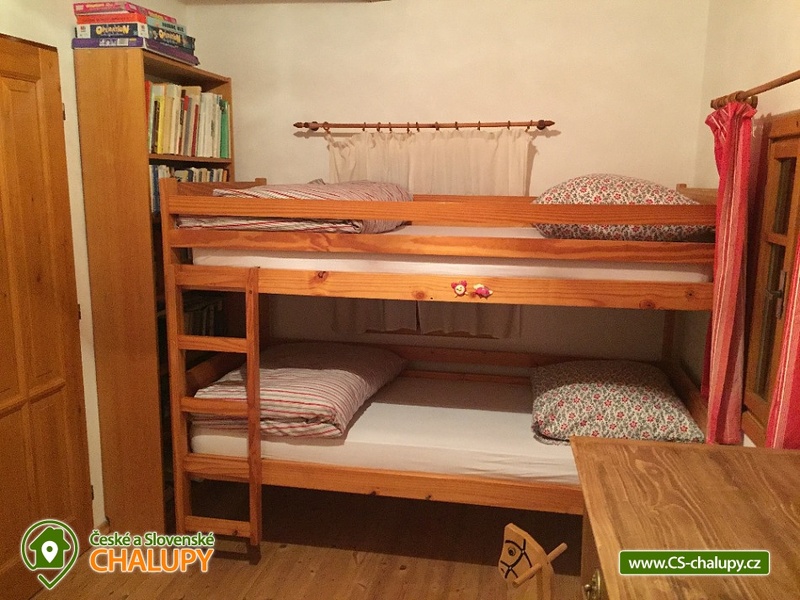 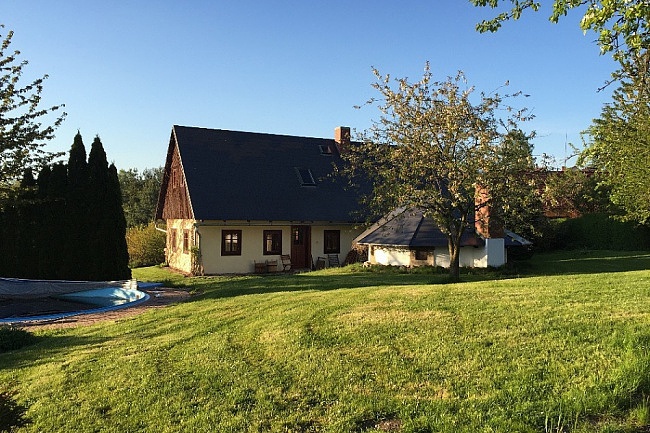 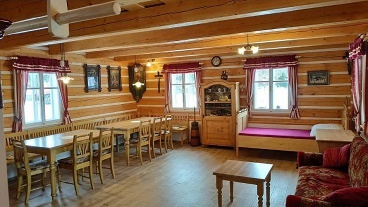 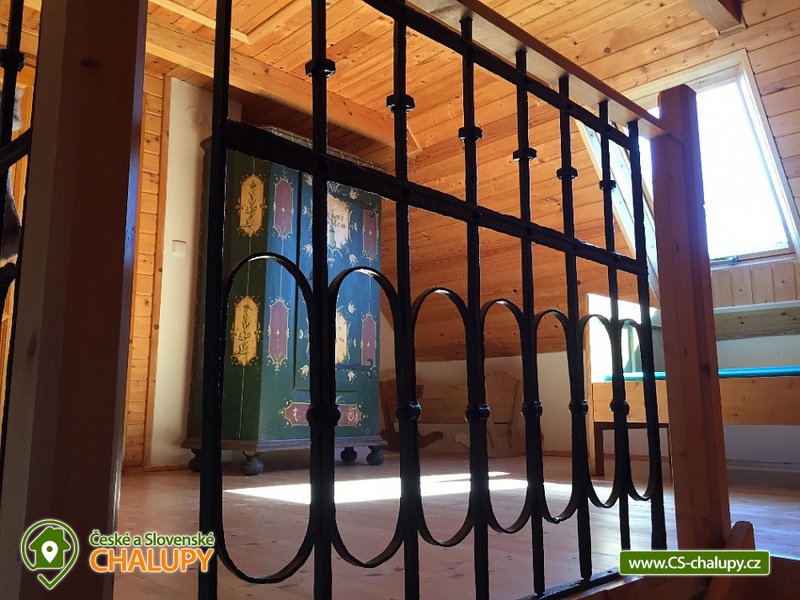 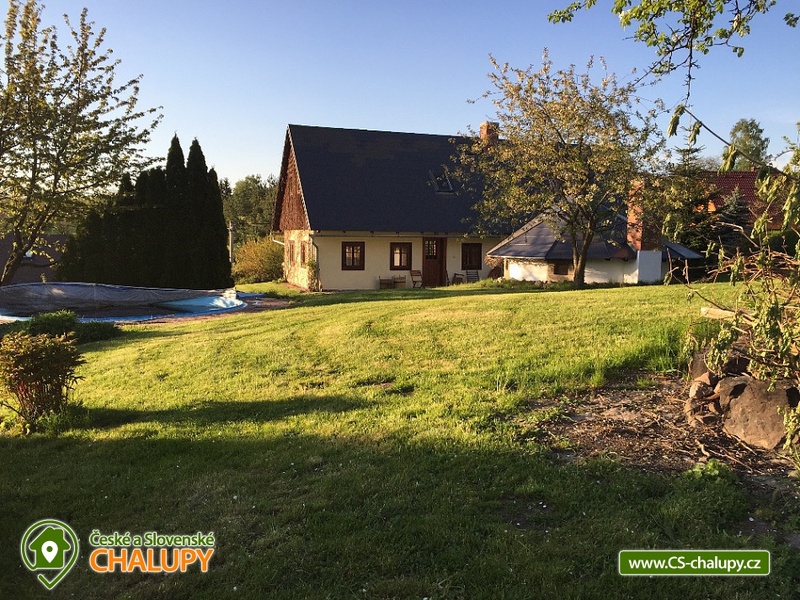 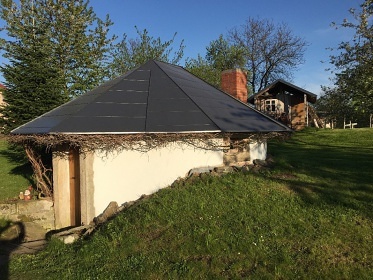 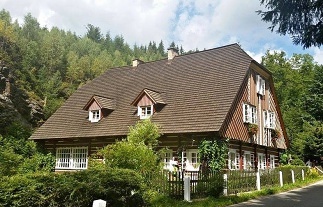 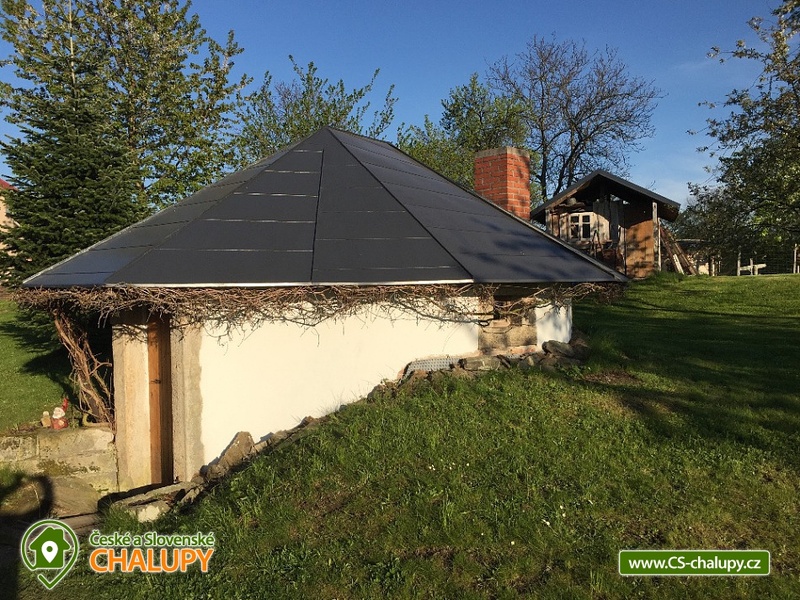 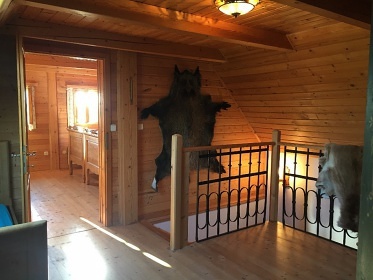 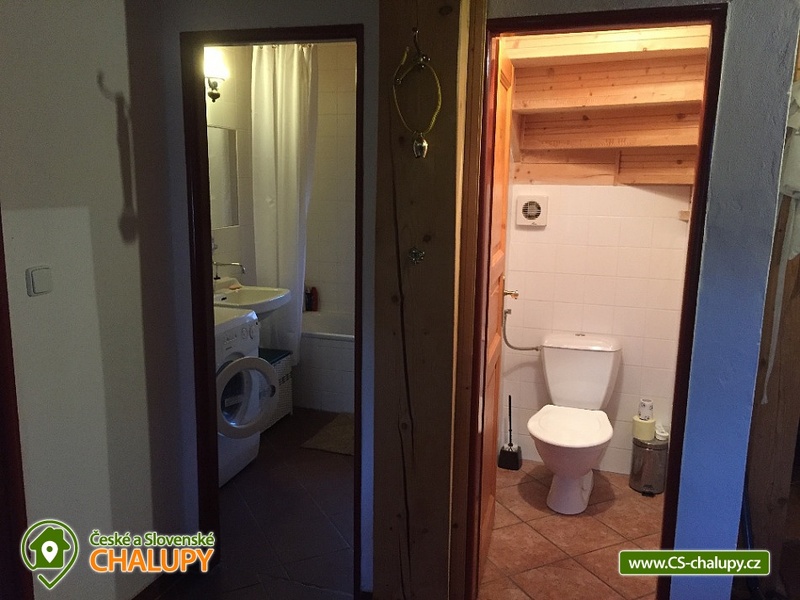 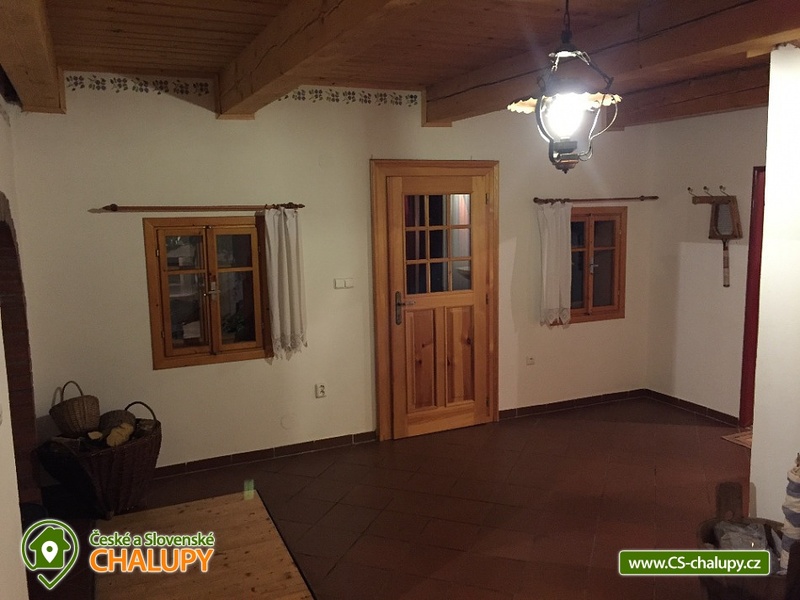 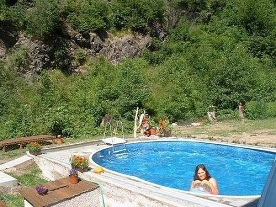 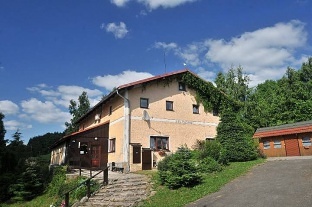 Chalet Fialka is situated on the outskirts of Kamenice in the foothills of the Orlické Mountains. 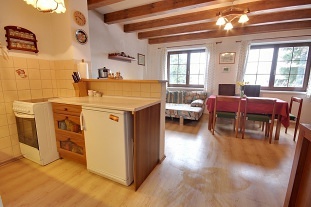 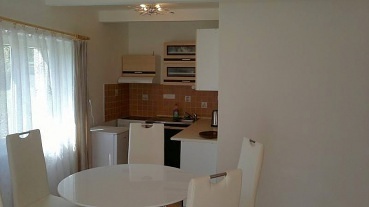 On the ground floor there is a spacious corridor with fireplace, large lounge with equipped kitchen, TV and CD with radio. 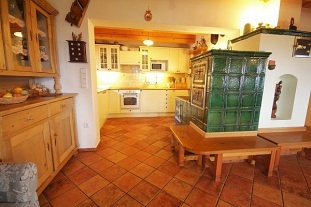 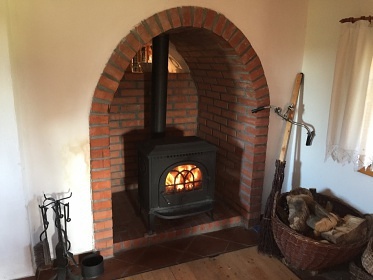 At the corner of the common room there is a tiled stove with an oven and a furnace on which to sleep. 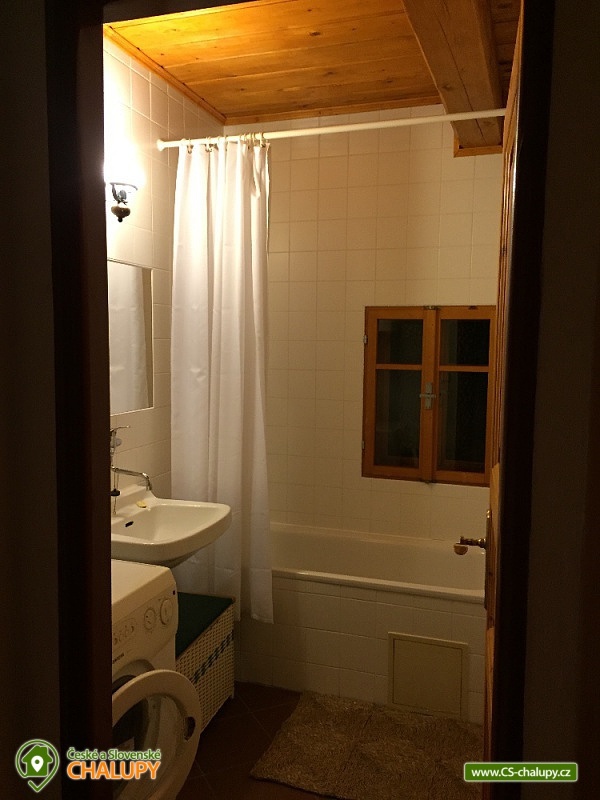 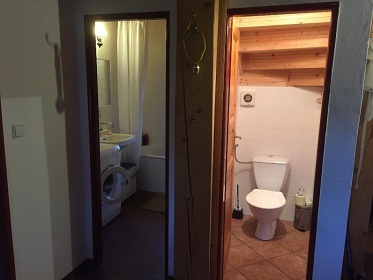 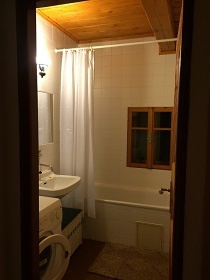 There is also a triple room on the ground floor with bunk beds, a bathroom with a washing machine and a separate toilet. Upstairs there is an open corridor with painted furniture and two rooms. 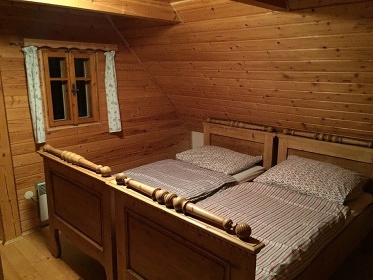 On the right is a room with three beds and on the left is a room with five beds. 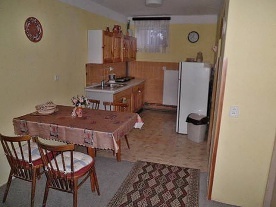 The whole cottage is stylishly furnished. 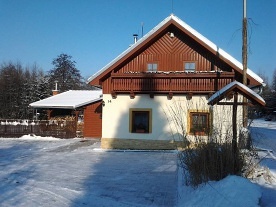 In front of the cottage there is an annex with open fireplace and seating. 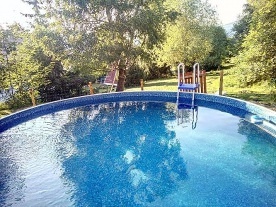 In summer, there is a cooler and winter warmth. 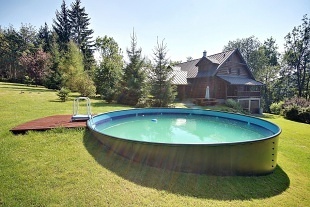 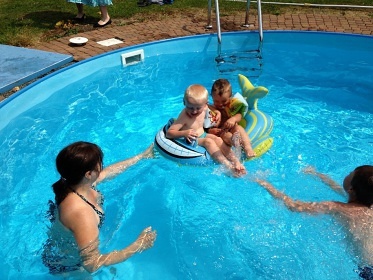 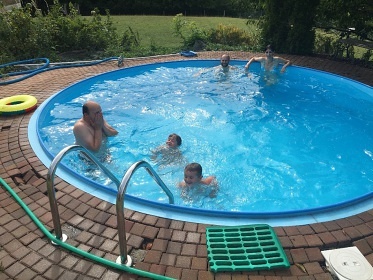 There is a circular pool with a diameter of 5 meters and a depth of 1.2 meters. 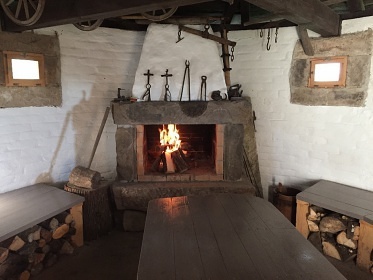 There is also an outdoor fireplace for cooking in the kettle. 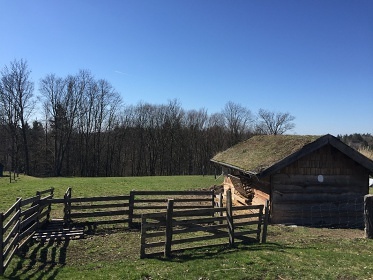 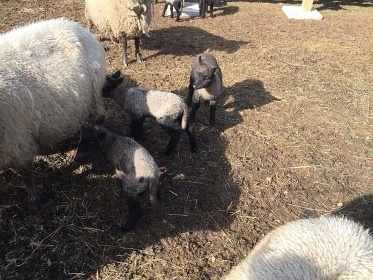 For the greater part of the year, the sheep flock of the owner of the property is on the adjacent meadows. 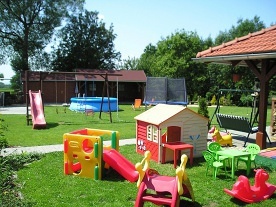 Additional information Týdenní pobyty vždy od soboty do soboty, nástup po 15:00, odjezd do 10:00. 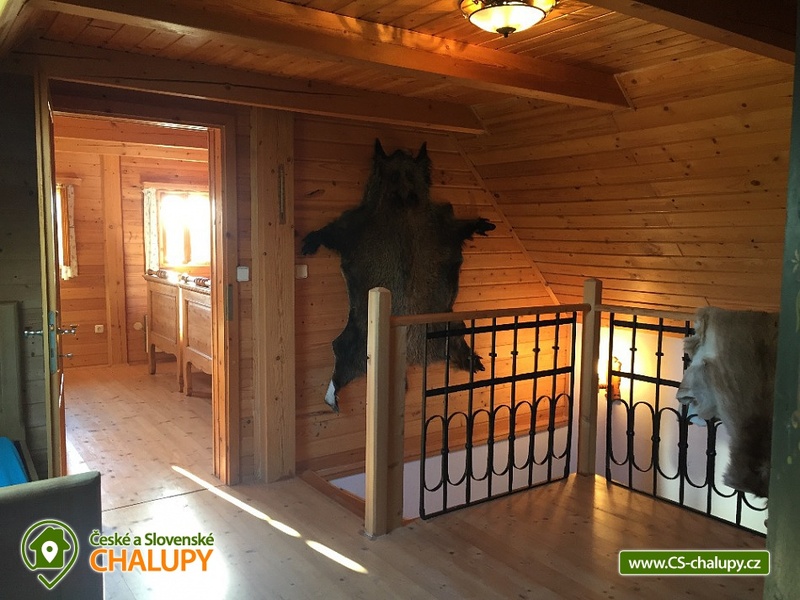 Pro kratší pobyty kontaktujte majitele, minimální délka 3 dny pouze v mimosezonu.